PHILADELPHIA -- Former Phillies shortstop Ruben Amaro Sr. has passed away after a lengthy illness, the team announced on Friday. He was 81. Amaro played for the Phillies from 1960-1965, and won a Gold Glove in 1964. He was also the first base coach for the team when they won the 1980 World Series. "As a baseball lifer, Ruben knew every aspect of the game. He had a special gift for the sport and cared deeply for all of the people in it. We were blessed to know him and to love him," Phillies Chairman David Montgomery said in a statement. Amaro was the father of former Phillies GM Ruben Amaro Jr.
Born on January 6, 1936, in Nuevo Laredo, Mexico, Amaro Sr. grew up in a baseball family and spent 58 years in the game. His father, Santos Amaro, had a long baseball career in Cuba and Mexico, and his mother, Josefina Mora, was a member of the Vera Cruz Women's Professional Baseball Club. Four generations of Amaros played professionally, Santos; Ruben Sr.; his three sons, Ruben Jr., David and Luis Alfredo; and a grandson, Andrew. Ruben Jr. became a baseball executive after his playing days as an assistant general manager and GM of the Phillies (1999-2015). He's currently the first base coach of the Boston Red Sox. Most of Amaro Sr.'s career was spent with the Phillies. He was a slick-fielding shortstop (1960-65) who won a Gold Glove in 1964 and later was the first base coach (1980-81) under manager Dallas Green for the franchise's first world championship. Amaro Sr. began playing professionally as an 18-year-old in Mexico, before embarking on an 11-year big league career that also included time with the St. Louis Cardinals (1958), New York Yankees (1966-68) - where he was teammates with Roger Maris and Hall of Famer Mickey Mantle - and California Angels (1969). His biggest contribution to baseball came after his playing days, when he began a distinguished career as a scout, major league coach, minor league manager and respected figure in Mexico, Venezuela, Puerto Rico and the Dominican Republic. 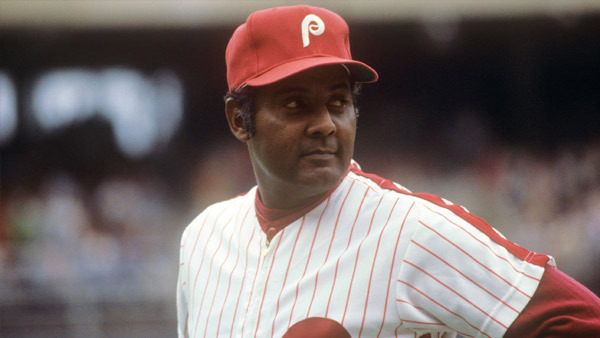 In 1972 he rejoined the Phillies as an assistant to Green, who was then the club's director of minor leagues and scouting. Amaro Sr. became the organization's first full-time scout in the Caribbean countries and was the Latin American coordinator from 1974-80. He was involved in the signing of Willie Hernandez, George Bell, Julio Franco and Juan Samuel, among others. He returned to the Phillies organization for eight years (1999-2006), serving as a minor league coordinator, scouting and player development advisor, scout and Gulf Coast League manager, leading the club to a GCL championship in 2002. In addition to the Phillies, he held various roles in scouting and player development with the Chicago Cubs, Detroit Tigers and Chicago White Sox. His final position in the game was as a scout for the Houston Astros (2010-16). Amaro Sr. was a member of both the Mexico and Cuba Baseball Halls of Fame. He was also a board member of the Baseball Assistance Team. He is survived by his wife of 29 years, Lilia; five children - sons David (Jen), Ruben Jr.(Jami), Luis Alfredo and Ruben Andrés and daughter Alayna - and seven grandchildren.